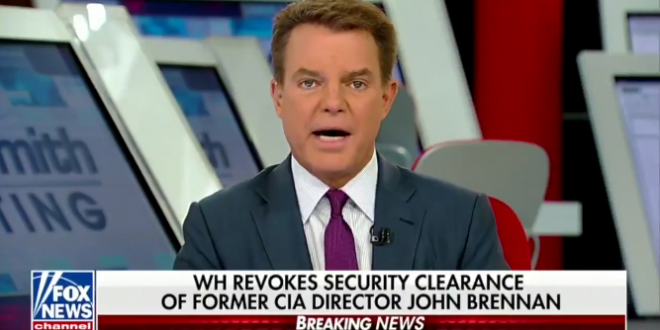 Shep Smith Smacks Rudy Giuliani: None Of The Steele Dossier, To Fox News' Knowledge, Has Been Disproven - Joe.My.God. “Much of Giuliani’s attack on Brennan involved the dossier compiled by the former British spy Christopher Steele that the administration has repeatedly asserted was what began the Russia investigation. It was not. The investigation began after the former Trump policy adviser George Papadopoulos told an Australian diplomat that the Russians had dirt on his then-political opponent, Hillary Clinton. That information was passed on to intelligence officials. “Guliani calls that dossier laughable. For context, the research in the dossier includes 17 memos produced by the former spy Christopher Steele. They allege misconduct and a conspiracy between members of the Trump campaign and the Russian government during the 2016 election. Some assertions in the dossier have been confirmed. Other parts are unconfirmed. None of the dossier, to Fox News’ knowledge, has been disproven.” – Shep Smith.